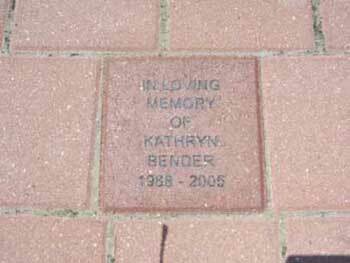 The brick, purchased by friends of Elizabeth Bender, was installed in May of 2006 in the new section of the Naperville Riverwalk. It can be found on the northeast quadrant of the Fredenhagen fountain. The fountain is located on the east side of Washington Street just south of Chicago Avenue.